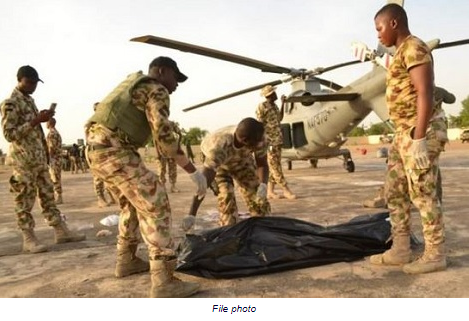 Nigerian Air force officers involved in the fight against insurgency suffered a setback on Sunday as the rotor of a helicopter killed an officer simply identified as Umar. An airman, who witnessed the very tragic incident, told TheCable that it happened at Bama in Borno state on Saturday evening. The tragic incident reportedly occurred around 4pm. The source said family members of the deceased have been informed while the burial arrangement was on as of the time this report was filed.